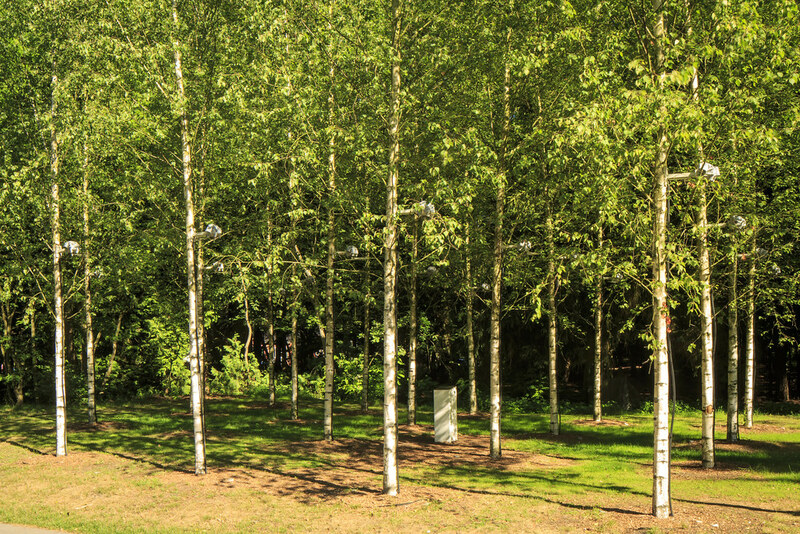 Klankenbos in the context of Manifesta 9 Musica organises a summer exhibit presenting a new and permanent installation COMPOSED NATURE. 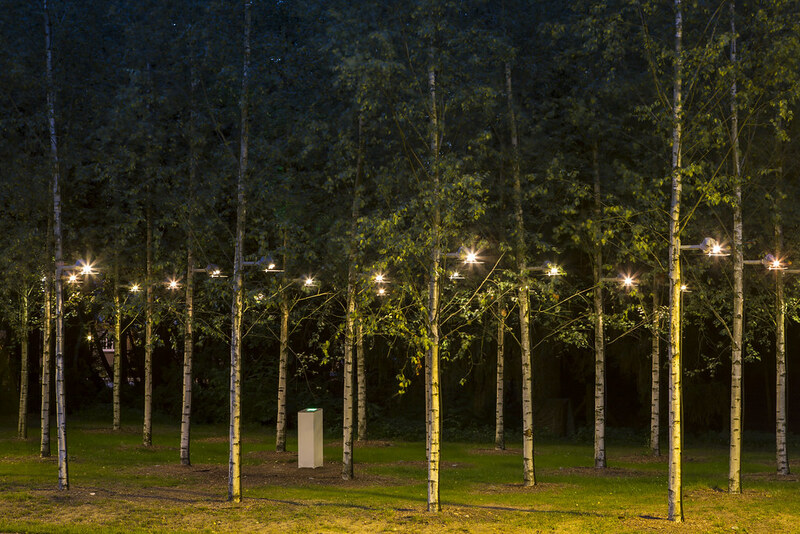 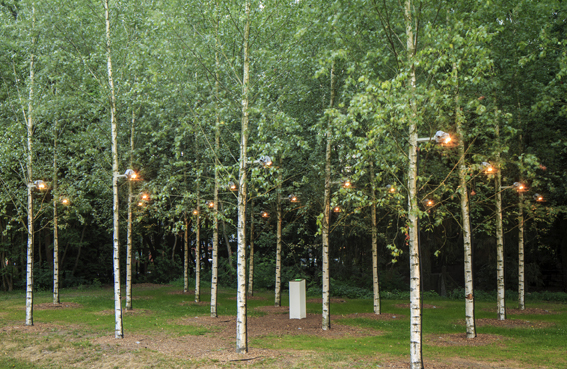 Vibrant trees are the focus the of the Dutch Composed Nature installation by staalplaat Soundsystem and Lola landscape architects. 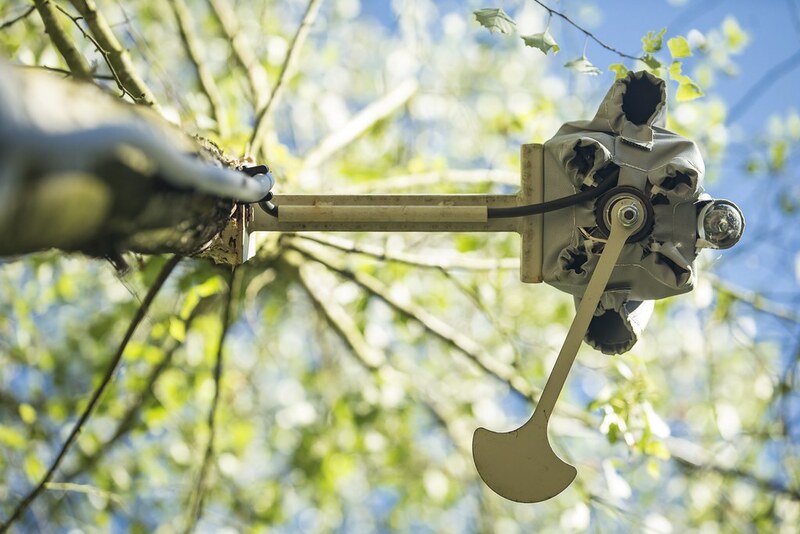 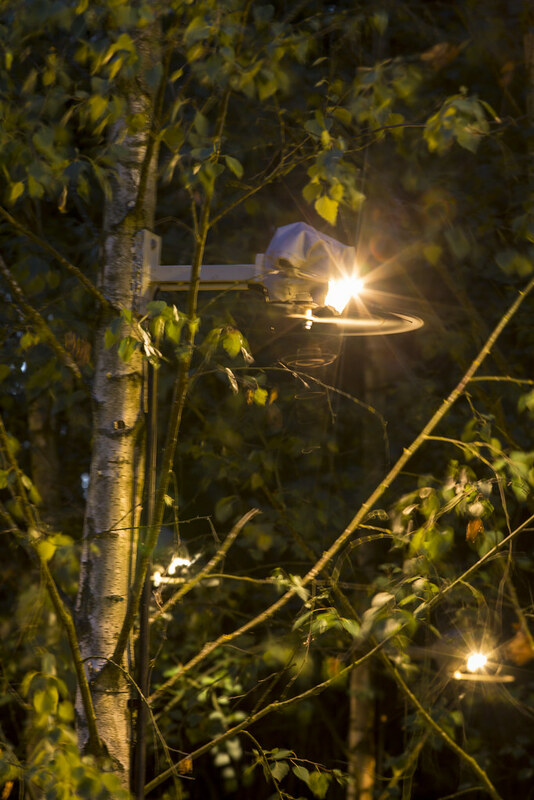 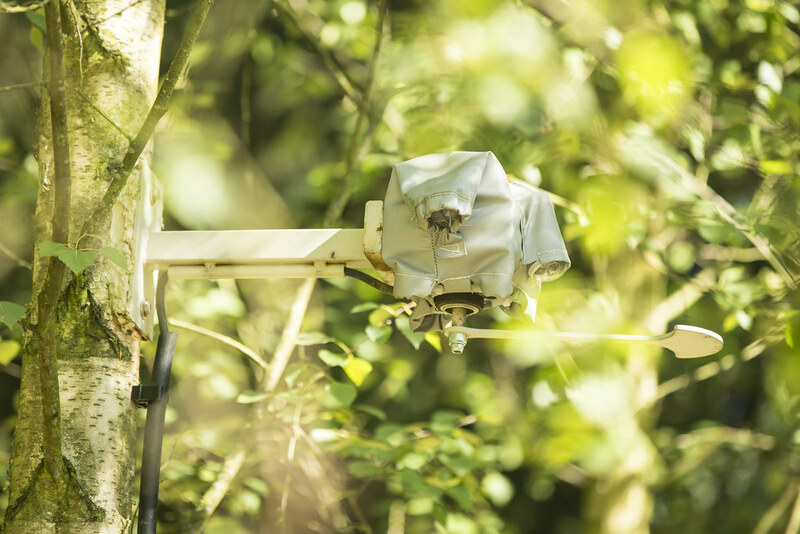 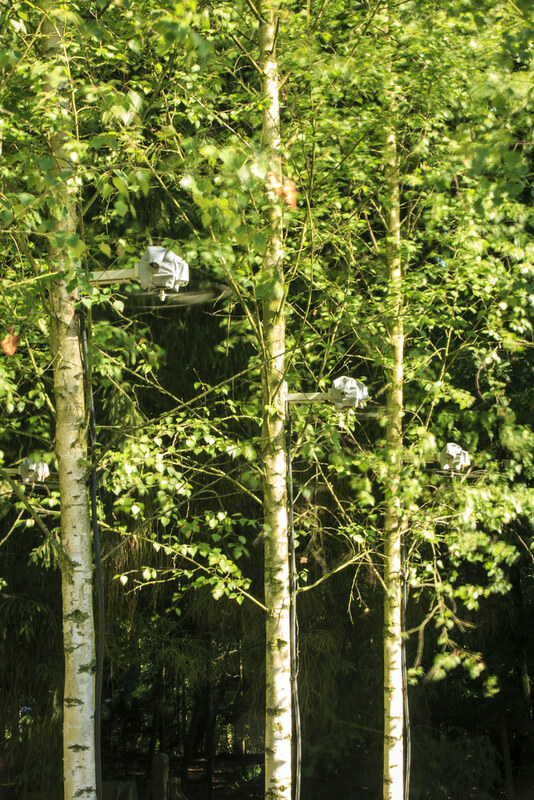 An interactive installation brings a series of motorized trees shaking causing artificial noise fields. 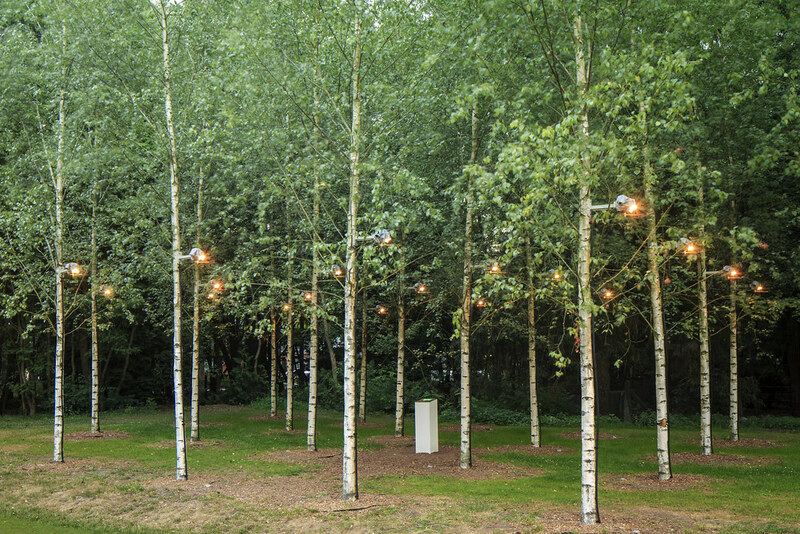 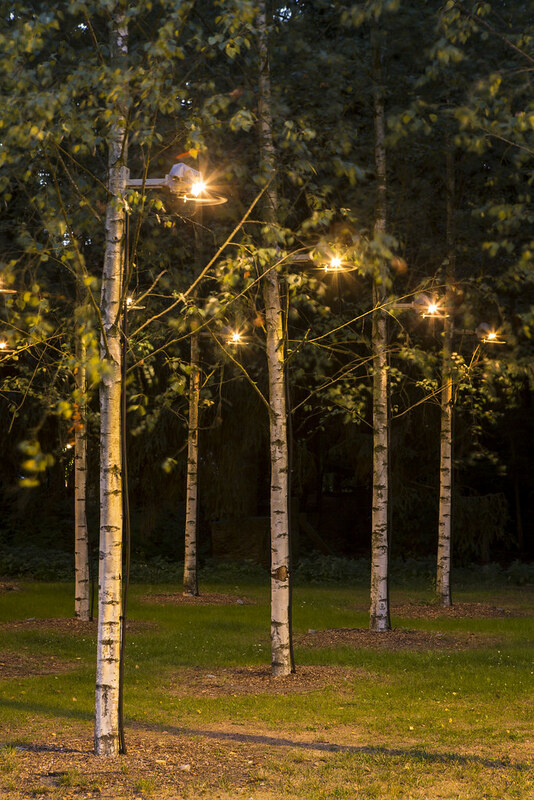 The installation is formed by a matrix of trees on which vibrating motors are mounted and controlled via a DMX dimmer pack connected to a computer. 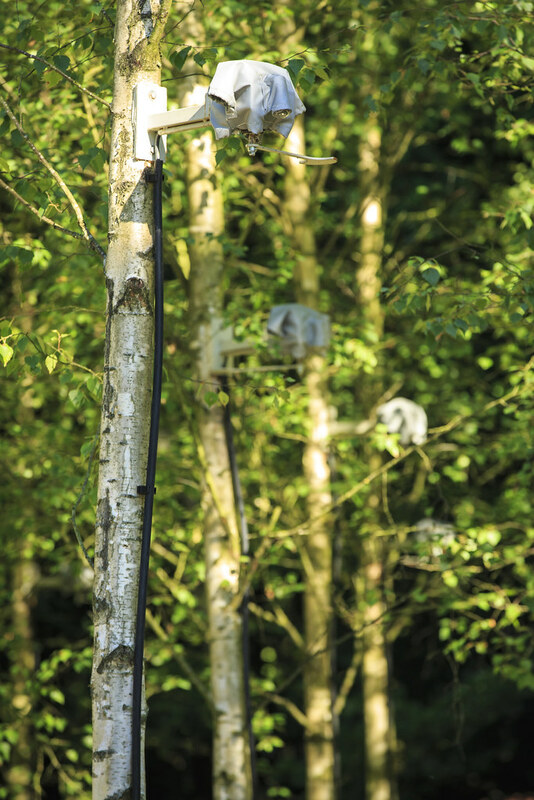 The dimmer controls the voltage per tree and thus the frequency and severity of the vibration, creating artificial noise fields. 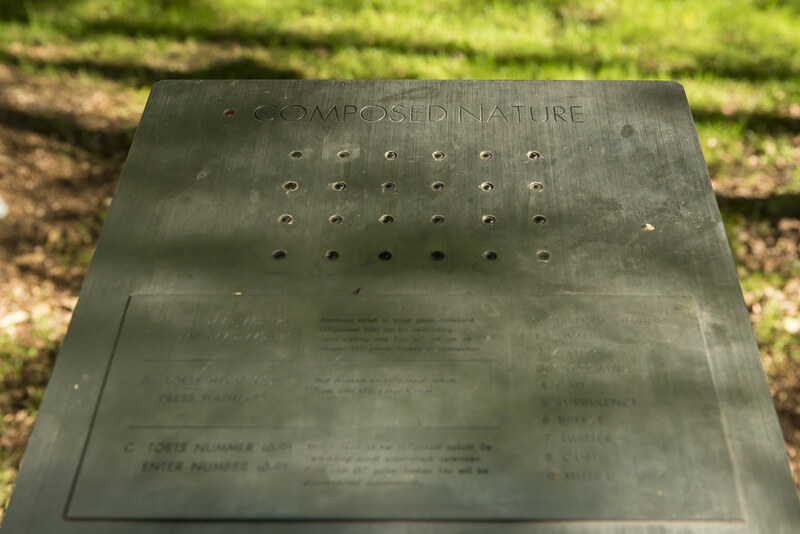 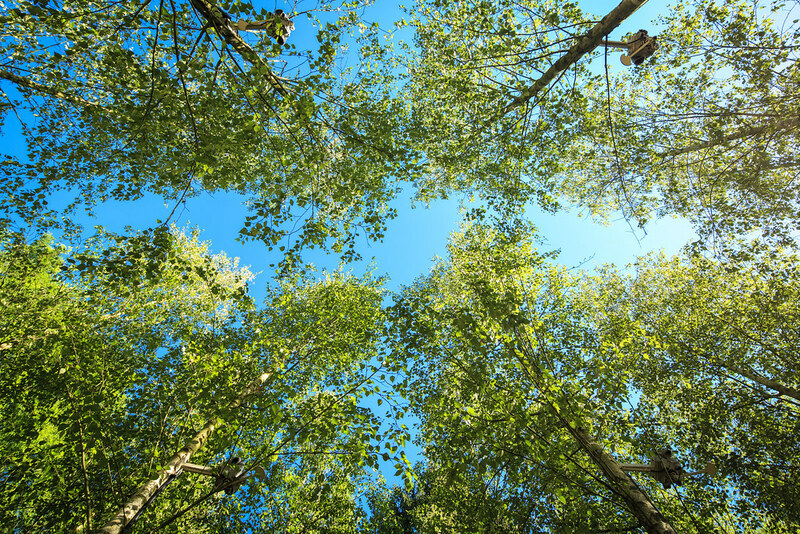 Composed Nature is a sensitive but powerful tool that allows visitors to play different compositions within the trees. 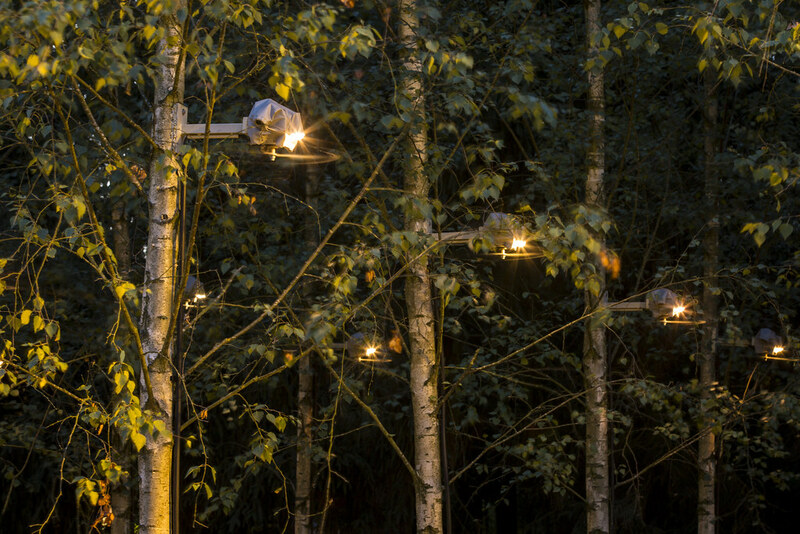 In this way the forest becomes a public playable instrument. 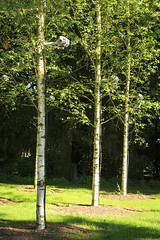 A permanent version is now installed in the Kankenbos, Neerplet, BE, a public forest with a collection of open-air sound installations that is unique in Europe. 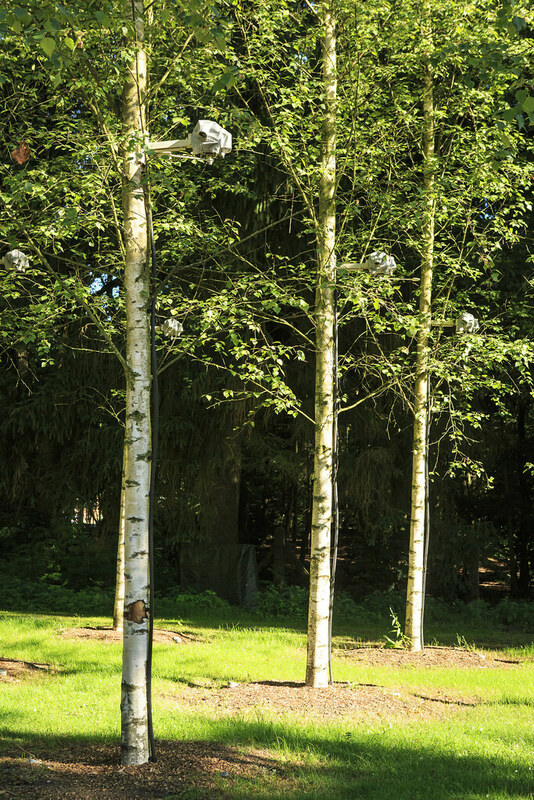 The installation Composed Nature, commissioned by CBK Dordrecht for the Urban Explorers Festival in 2011, began as a collaboration between LOLA landscape architects and Staalplaat Soundsystem as part of ongoing research for Composed City, which examines potential overlaps between sound art and landscape architecture.